An epic announcement on World Nutella Day! As you may know by now, I am a big Nutella fan. I don't mean I'm big, as in large, although I could stand to lose an ounce or two. What I do mean is that I love Nutella. So it should come as no surprise that Nutella makes an appearance in my debut novel, Game of Love in a scene where Gemma, a world-class athlete, decides to indulge and share a Nutella croissant with Andre. This is symbolic of freedom from her old way of being. Unfortunately, there was some concern over the use of a brand name. After all, I don't want to be sued, much less by my favorite brand! 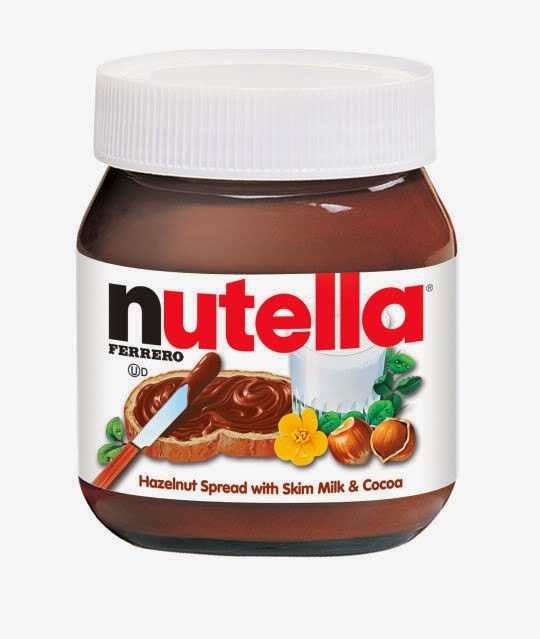 Although the product is shown in positive light (I mean after all, it is the symbol for freedom) I decided to contact Nutella's parent company, Ferrero USA and ask for permission to use their brand. Let's level set here: I am a nobody. So why would they even bother to respond? Well, they did. I am elated to announce that the good people at Ferrero have given me permission to use their brand in my novel! So on this, World Nutella Day, I am announcing a marriage between my favorite product and my debut novel, Game of Love. I will be forever tied to Nutella. So, enjoy some Nutella, subscribe to my blog (right there to your right), add Game of Love to your Goodreads bookshelf and when you read my novel on May 4th, go ahead and consume liberal amounts of Nutella. Coming soon: Cover reveal and Amazon Pre-Order! How very cool! I'm now an even bigger fan of theirs than I was before. Happy Nutella Day! And a happy Nutella Day to you too, August! When I received the approval, I giggled with excitement then blown away because they get it. Treat your fans with respect and they'll continue to be your advocate!